Hey, look who we ran into–the birthday girl herself! Lift your beverage of choice (we’re currently enjoying some vanilla chai ourselves) and join us in a toast to the baby Jenny, her family’s ray of December light; to the girl, Jane, who danced at balls and flirted with young men and gossiped with her sister and girlfriends and read books and wrote hilarious stories; and the woman, Jane Austen, author of books that have stood the test of two centuries and are still being copied and reinterpreted and celebrated today. Yes, let us celebrate Jane Austen, and her beloved books and characters, and the community that has grown around them, that has existed around them from even before their publication, when friends and family begged to read yet again the handwritten manuscript of First Impressions. 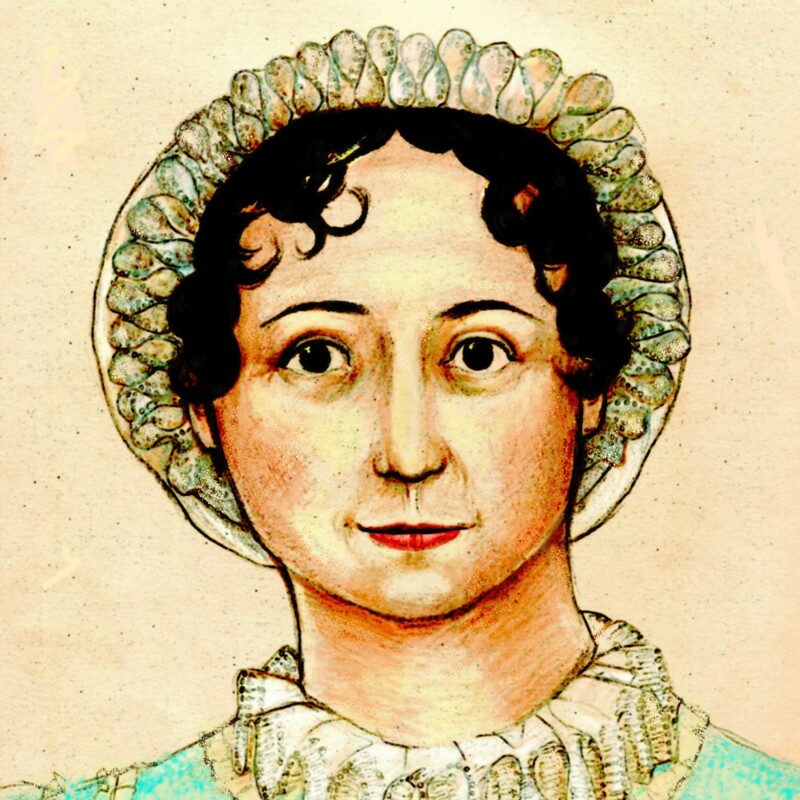 Janeites, let us celebrate Jane Austen. Let us know how you are celebrating Jane Austen today and every day! Fabulous cake Mags. Did you eat it all yourself1?! What a beautiful tribute to our Jane on her birthday! Thank you! An excellent toast! To the girl and the woman and the writer we all love.